Offering a variety of solutions for water analysis, Macherey-Nagel provides test papers, Visco-color test kits, Nanocolor Photometry and Biofix microbiology test kits. 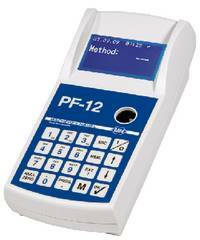 The best seller is the portable industry standard photometer PF12. Ex-stock available for certain models. Contact Spectra-Teknik for more information today.